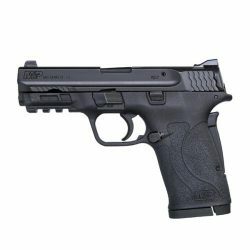 The Smith & Wesson® M&P® Shield™ line of compact handguns has been a great success story for S&W®. 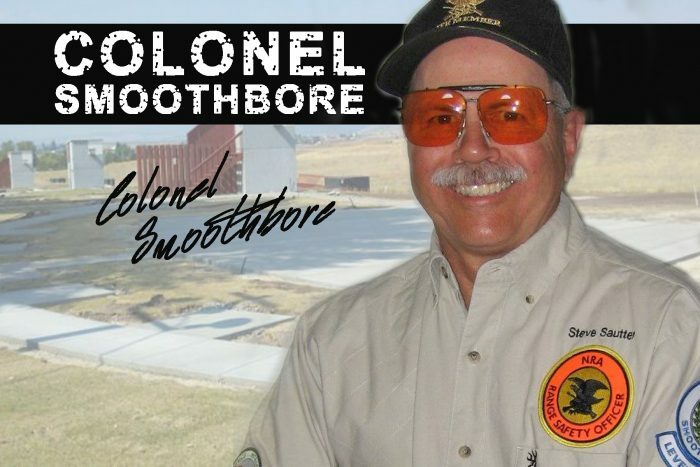 With over a million Shields sold in the last decade, it has proven to be one of the most popular guns in the concealed carry market. 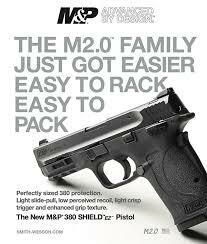 Recently S&W® introduced the M&P® Shield™ 2.0 to the line. 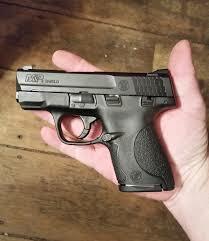 This model incorporates all the new features of the M&P 2.0 full size and compact guns that were introduced after the US Military trials for a new service wide side arm. 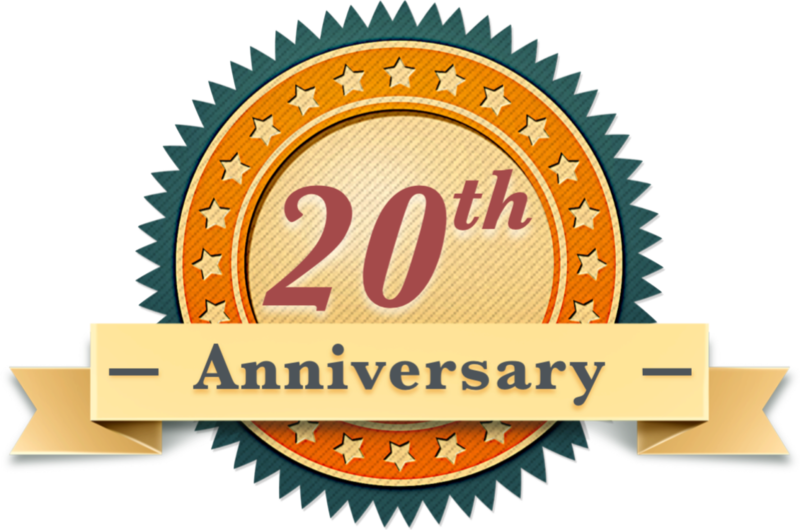 With all the great features of the original guns and the incorporation of the new features of the M2.0 pistols (e.g. 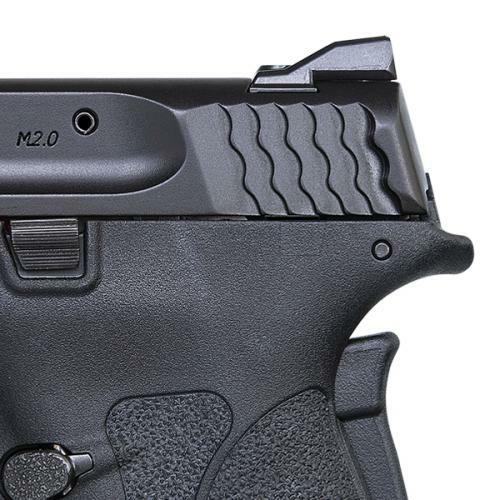 better triggers, enhanced grip services), the M2.0 Shield™ offers CWP holders an even better, more user friendly pistol. Now there is another new gun in the S&W® Shield™® line. 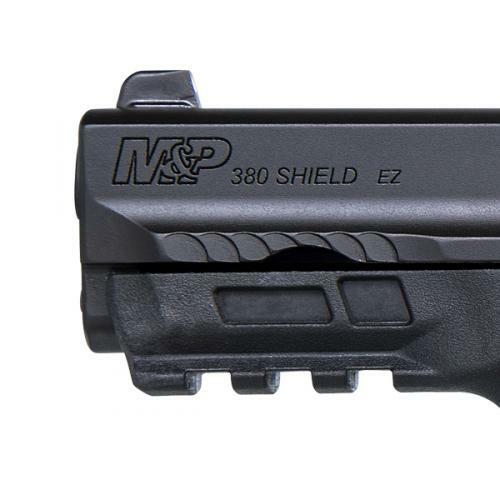 The M&P® 380 SHIELD™ EZ™ is designed for users with small and or weak hands. The new gun is not simply an M&P® rechambered in .380, but an entirely new gun based on the M&P® 22 Compact. This is not a striker fired gun, instead the pistol has an internal hammer. 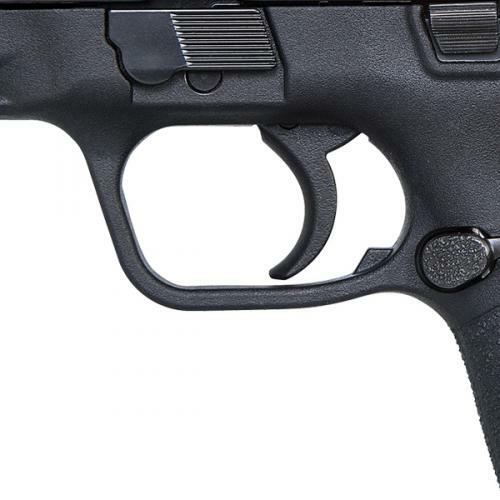 Other differences between the EZ™ and its cousins include a non-articulated (hinged) trigger, a grip safety, a lighter recoil spring, and unlike the other Shields, this gun is a true single-action design. Features common to the EZ™ and other Shield® models include the same aggressive texturing and the 18 degree grip angle. The external design features of the M2.0 guns are incorporated into the EZ™ including the thin line of scallops at the front that provide solid gripping surface for those wishing to manipulate the slide from the muzzle end. Trigger weight is rated at about 6 pounds and the single-action design is much crisper than the other models. The EZ™ has the standard 3-dot windage adjustable sighting system. The EZ™ weighs 18.5 ounces, a bit heftier than most of the .380s on the market. It has a 3.675 inch barrel, again longer than other .380s. The barrel and slide are stainless steel with an Armornite® Finish. 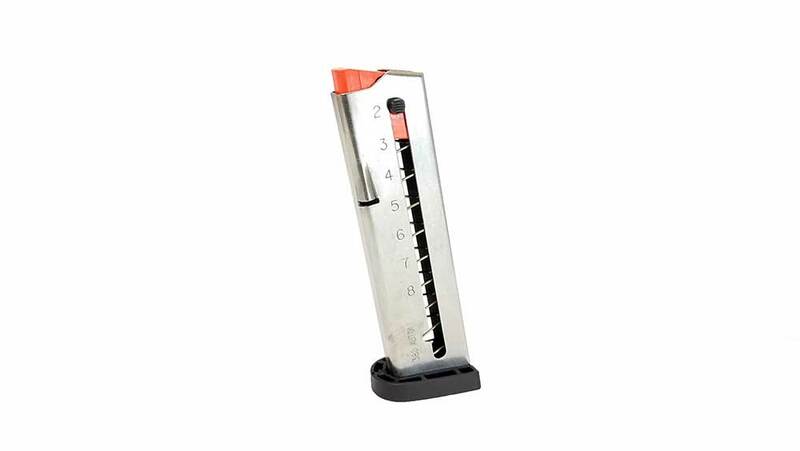 The EZ™ comes with two 8 round magazines giving the gun 9 round capacity with a loaded chamber. I have an S&W® Performance Center® Shield® in 9MM and an M&P® Bodyguard® 380 equipped with a Crimson Trace® laser. 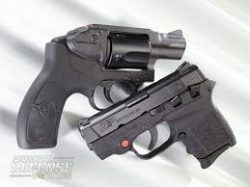 Both are very concealable and I carry them regularly. 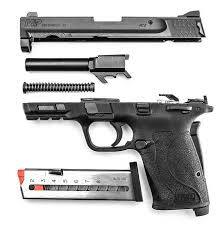 I am a big fan of the entire M&P® line; I own several others. With its larger size and weight than most other .380 chambered guns on the market, the new EZ™ should be extremely comfortable to shoot and with the reduced power recoil spring, the slide will be easy to manipulate for those with small or weak hands. The new EZ™ will on dealer’s shelves later this month with an MSRP of $399. 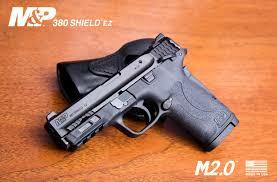 Like its brethren, the M&P® 380 SHIELD™ EZ™ will be a big seller. If you are looking for a gun that is easier to shoot than the micro pistols, low in recoil, and with the advancement of solid personal defense ammunition in .380, it’s EZ™ for you.